Plumbing is essential in any home or business. When the plumbing goes out in certain rooms of homes, it can cause a lot of problems for those working in the business or living in the home. Toilets, sinks, water heaters, and other aspects that barrel down to plumbing all have a huge part in the way individuals live on a day-to-day basis. This is why Alvarez Plumbing, located in Salinas-Watsonville, CA, is available to Install, Repair, and evaluate 24 hours a day, seven days a week. Pipes that are underground, outside of the home, can often break and cause water leaks inside of the home. These types of pipes can break due to being old and rotting, having tree roots grow into them, or from freezing during the cold winter months. When water freezes in a pipe, it causes the pipe to expand and bust. Anytime pipes like this are broken, it can cause rooms of the home to fill up with water, such as basements, kitchens, or bathrooms. Alvarez Plumbing Technicians will be able to come to the home in order to locate the pipes underground that have busted in order to get them repaired. Most homeowners and business owners will not know that a problem has taken place with their plumbing until it is too late. Toilets clogging is a great example of there being an issue with the plumbing. A plumber will be able to unclog the toilet by using hydro-jetting. Hydro-jetting is strong enough to unblock the clogs and clean out the debris in the sewer lines. This will ensure that the toilet will start flushing again properly, and that debris is removed to prevent troubles in the future. When an individual goes into a room and notices a small puddle, they will need to clean the puddle in order to see if it comes back. If the puddle comes back, it means that there is a leak occurring in one of their pipes. When a technician is called out, they will be able to see the leak and have it repaired immediately. It is best to try to find leaks and to inspect pipes that are visible. This way the pipes can be fixed as soon as the problem starts appearing instead of waiting until it’s too late. When an individual waits too long, they may have to replace pipes instead of getting them repaired. Water heater leaks are extremely damaging if they are not taking care of right away. These types of leaks never get better on their own and will only get worse over time causing more damage to one’s home. A small leak can mean that there may be some pipes that just need to be repaired or that the puddle on the ground is due to condensation. A professional will be able to advise quickly what the problem is and if it can be repaired. In some cases the water heater will not be able to be repaired and will need to be replaced to ensure there are no other problems. It is important that a professional plumber is called out to look at all water heater leaks to ensure it is repaired properly. Water heaters that are not repaired properly can end up causing more flooding damages or stop working. 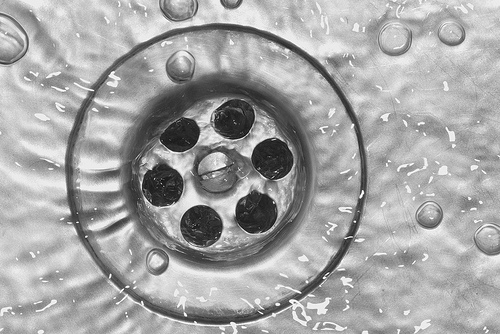 Alvarez Plumbing has dealt with several types of plumbing issues, big and small. Any time a leak has been found or a musty odor, it is important to contact a plumber right away for an evaluation. Leaks and flooding from the pipes can cause a lot of damage if they are not taking care of immediately. This is why Alvarez Plumbing is available for contact 24/7.